Home News EU Amsterdam: The new EU financial hub post-Brexit? The new gateway to Europe: How is Amsterdam affected by Brexit? Amsterdam is overlooked as a beneficiary of Brexit, as well as underestimated (well, not by the Dutch, of course). Open-minded, independent and the gateway to Europe, Amsterdam might be the perfect location for financial institutions to flourish in a post-Brexit Europe. Located in the middle of the three biggest economies in Europe, Germany, the United Kingdom, and France, the Netherlands is perfectly situated to handle all the main European markets. Home to the world’s oldest stock exchange, Amsterdam remains a key financial hub attracting those involved with global finance and trade. Several other financial innovations such as the world’s first publicly traded company and the first European option exchange also originated in the Dutch capital. Despite deserving, the major component establishing Amsterdam as the new EU financial hub is the possibility of Brexit. With Chicago’s Cboe Global Markets CBOE.O and the London Stock Exchange Group (LSE.L) relocating trading venues from London to Amsterdam, the city remains a key player in the battle for Brexit spoils. 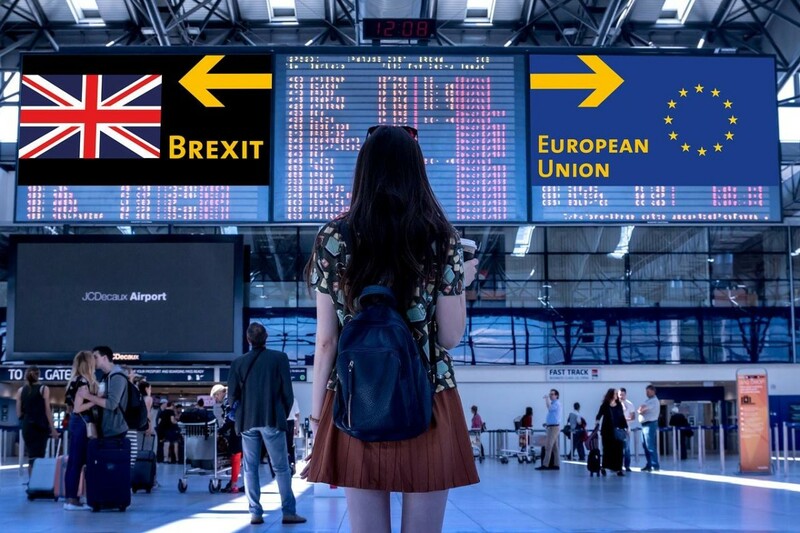 Just last year, the economic affairs ministry said 42 companies or branch offices had been convinced of relocation to the Netherlands – an effort to gain Brexit business. In 2016, Amsterdam’s market capitalisation was at over 800,000 euros. Only a year later and following a year after the referendum took place, it grew to over 900,000 euros. Brexit and Amsterdam: London dethroned? In November, Prime Minister Theresa May’s Brexit deal included taking Britain out of the single market and aligned with a hard Brexit. Although this deal was rejected in parliament, leaving the single market is still a possibility. If you’ve lived under a non-financial rock; the single market allows companies to sell their products and services freely within the EU. It gives UK businesses access to 500 million customers. More importantly, it reduces costs by eliminating tariffs and bureaucratic burdens by applying a set of rules for all EU nations. If the UK loses access to the single market, the banking industry will become less profitable as an extra $30 to $50 billion will be necessary to support new European entities. Sadiq Khan, the Mayor of London has warned the public that leaving the single market would damage London “for decades to come”. In the last two decades, London has been the base for trading venues. The city has been used by financial institutions as a passport to access the EU market. Fear of losing financial passports has led several businesses to move to new EU hubs. 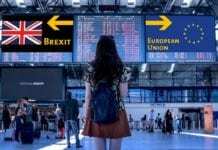 In September, just six months prior to the initial date for Brexit, 630 UK-based finance jobs had already been shifted overseas, according to a Reuters survey. Does Amsterdam take the crown? Tony Ressler, an American billionaire told the Financial Times, the Dutch capital “could take over London’s crown as a key financial centre as the UK prepares to leave the EU”. Amsterdam taking the crown in full might not be so simple, however. DutchReview spoke to Dr Shawn Donnelly, an Assistant Professor at the University of Twente with expertise on the banking union and eurozone governance. He says, “Rather than a new monarchal crown, there will be assorted princes if you will. But that’s intrinsically European”. He argues different cities are attracting different financial institutions with Paris taking banks, Amsterdam taking platforms and funds and Dublin taking fintech. Frankfurt is also another beneficiary of Brexit, with London expecting an 800 billion euro loss as banks relocate to the German city. The Dutch government is in talks with more than 250 companies moving their operations from the UK to the Netherlands before Brexit, according to The Guardian. However, Donnelly argues that for now, companies are moving over parts to Amsterdam, but not all of their operations, personnel and resources. He says, “How much more moves over depends on how much access a future UK-EU deal provides to the financial services industry”. He also says a hard Brexit will “bleed the city” of London out and a deal will moderate the losses. Several argue Brexit’s impact on the Dutch economy might not be entirely positive. 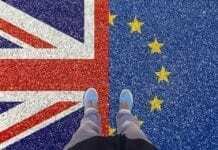 The ING economics department has said in a recent report that the Dutch economy could also feel the negative effects of Brexit, as the UK accounts for 3% of the country’s GDP. Dutch sectors including wholesale, transport, industry and business services are the most vulnerable to Brexit. However, predictions show Amsterdam will flourish as a financial hub by exploiting this Brexit opportunity. Home to an already strong financial industry, the Dutch economy will thrive with the creation of thousands of jobs and an increase in investment. The Netherland’s GDP PPP Per Capita was at over 56,000 PPP Intl $ in December 2018. It is forecasted to rise to over 68,000 PPP Intl $ by December 2023, according to CEIC DATA. This translates into a substantial growth in the economy and a higher purchasing power for Dutch citizens. The Dutch financial markets authority (AFM) also predicts a 20-time increase in financial trading in the Netherlands. AFM Chairwoman Merel van Vroonhoven told Reuters she expects around 40 per cent of European trading to be housed in the Netherlands post-Brexit. This would undeniably turn Amsterdam into the main financial hub in Europe. 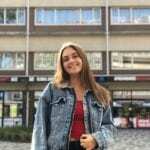 Any thoughts about how Amsterdam is affected by Brexit? Let us know in the comments.